With reimbursement on the decline and expenses on the rise, it is imperative for ASCs to do all they can to maximize their deserved reimbursement. Leaving money on the table is no longer an option if an ASC wants to achieve growth, let alone keep the doors open. 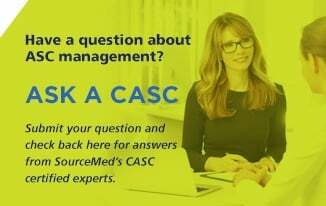 Here are six tips ASCs can follow to bring about improvements in their managed care contracts and collections efforts. Renegotiate contracts. The costs for performing procedures have increased over the past several years. Payments for those procedures should have increased as well. But unless an ASC took the initiative to renegotiate its managed care contracts, those payments may not have increased at all. Rare are payers that provide higher payments out of the kindness of their hearts. When we start working with a new ASC client, it is not unusual to learn that the surgery center has not renegotiated its contracts for many years or even longer, sometimes dating back to when the ASC opened. 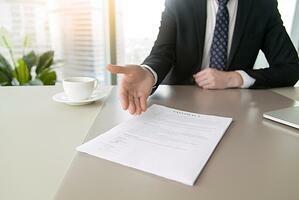 Surgery centers must look out for their own interests when it comes to their manage care contracts. Take the time to closely review your costs and chargemaster to help ensure prices are set at levels that will earn you appropriate reimbursement. If reimbursement is too low, be prepared to share data and make a compelling argument to payers for why your rates need to increase. With careful planning, there are usually big opportunities to improve contracts. Benchmark. 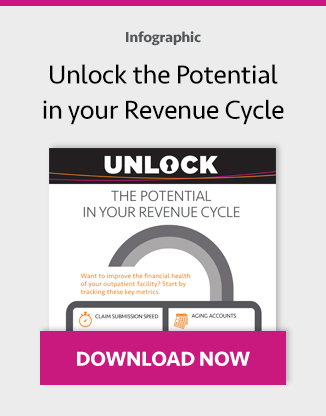 Unsure if what you are getting paid is appropriate for your market? Benchmarking can help provide insight. There are companies that offer benchmarking services as well as some potential opportunities to benchmark through state reporting. Consider benchmarking a stone to be lifted regularly. Verify "preference." Payers are more frequently organizing providers into different levels — or "tiers" — of preference as a means to direct business in certain directions. For example, if a provider is in a payer's top tier, a patient's co-insurance may be $200. If a provider is in the second tier, that co-insurance may increase to $400. A provider in the third tier may see the patient's co-insurance go to $600. When patients consider different sites for service and put a heavy weight on the costs they will incur, top-tier facilities are likely to earn the bulk of the business. This is a fairly new trend, but one ASCs should be on the watch for. During contract negotiations, inquire about a payer's plans to tier benefits. Follow up. A surefire way to leave money — and probably lots of it — on the table is not to follow up on rejections, denials, and underpayments. That's why it is imperative to have a team that takes a dogged approach to collecting all the money your ASC is owed. This work is not easy, and may require an investment in professionals with the right skills and persona who can sit at a desk, make outbound phone calls, submit claims in different manners, and ultimately do whatever is necessary to make sure a claim is paid in full. These professionals, if supported properly, can deliver a sizeable return on your investment in them. Manage the mix. When you secure a managed care contract, this does not necessarily mean the reimbursement provided through that contract is sufficient or that all of the procedures you want to perform are covered in the contract. That's why it's critical to closely manage your payer mix. If a contract will not pay your ASC what you determine to be "enough" money for a procedure to be financially worthwhile or if that procedure is on a payer's "inpatient-only" list (meaning the payer will not pay for the procedure to be performed in an outpatient setting), it would be prudent to direct those cases to a different setting. Your schedulers should be trained on and have the means to verify which procedures, with what insurance, your ASC is willing to perform. Every time a procedure is performed that does not meet your minimum requirements equates to money lost, both on the procedure itself and the time the procedure spent occupying an operating or procedure room that could have been used for a more financially appropriate case. Invest in improvements. We talked earlier about the benefits of investing in benchmarking services and staff, both of which can help bring about improvements in contract rates and collections. The same can be said for investing in companies that specialize in ASC contract renegotiations. While these services are often not cheap, if a company analyzes your contracting performance and says it will cost $25,000 to net you $250,000, that is likely an investment worth making. When it comes to your revenue cycle's performance, it is important to see the forest through the trees.